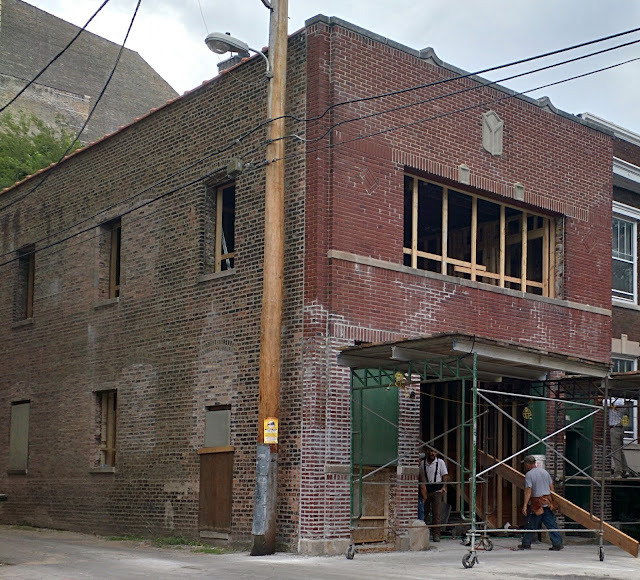 Work is well underway on the long-vacant former fire station at 1217-19 W Gunnison that FLATS plans to convert into four 2-bedroom apartments. It looks like the building was completely gutted and has all new interior walls, and that tuckpointing is going on in the front. On the side of the building, you can see that the original windows were taken out and bricked in, but on the site plans, it looks like some full-size windows will be restored. We can't wait to see the finished building.